As the new year school begins, Bedford Prep is putting the finishing touches on our review courses for the upcoming SAT exam. We are excited, once again, to offer our classes at Fox Lane High School. SAT Review for the October 2018 Exam. Fox Lane High School room D-129 6-8pm. All classes are taught by NYS certified teachers who have multiple years of experience. We look forward to working with your students in our FLHS classes! 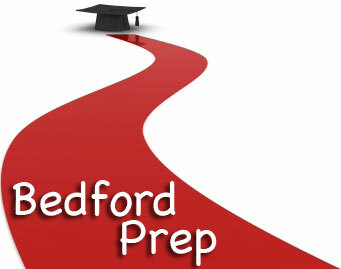 Bedford Prep is a full-service tutoring company that focuses on helping all students achieve their individual goals. Our tutors work off-site at students' homes or at a mutually convenient location. Founded by teaching veteran Maureen Lindell, Bedford Prep has been voted "Best of Westchester" and prides itself on its exemplary teaching staff. In addition to private tutoring, Bedford Prep also offers SAT and ACT classes at local venues and assistance with college essay writing. Our experienced teachers will work one on one, in small groups or in school settings to help students achieve their academic goals. These top-notch educators have significant classroom experience and work diligently to improve student performance. Have a student who wants to work on further developing academic strengths? Looking for a program to supplement classroom learning? Contact us to arrange a consulation with one of our education professionals to see how we can help your child achieve his or her goals. For students who are looking to work on their creative writing skills, the tutors at Bedford Prep will help kids hone their skills and develop additional abilities to help them achieve their writing goals. "My oldest daughter took Maureen's class at Fox Lane High School and raised her PSAT score by 200 points. She is now at a great university in the Northeast." "My younger daughter took her first SAT with no formal prep work, and her Reading result was 100 points below her scores in the other two parts. I asked Maureen if she could help, and she designed a 2 1/2 hour class with emphasis on reading comprehension. My daughter's score went up 100 points, and she now has a very competitive total score to present to college. Maureen really gets results!" Private tutoring available for all subjects. Please call Maureen at 914.671.9070 for information on tutoring. © Copyright 2015 Bedford Prep. All rights reserved.